Half-pass is a forward/sideways movement. Remember the order of those words – it is crucial to maintaining them in that order while you teach a horse this movement. What does a finished half-pass look like? It’s quite important to distinguish between the finished product and the learning stages. As the horse progresses up the levels, the angle and bend in half-pass will become greater. 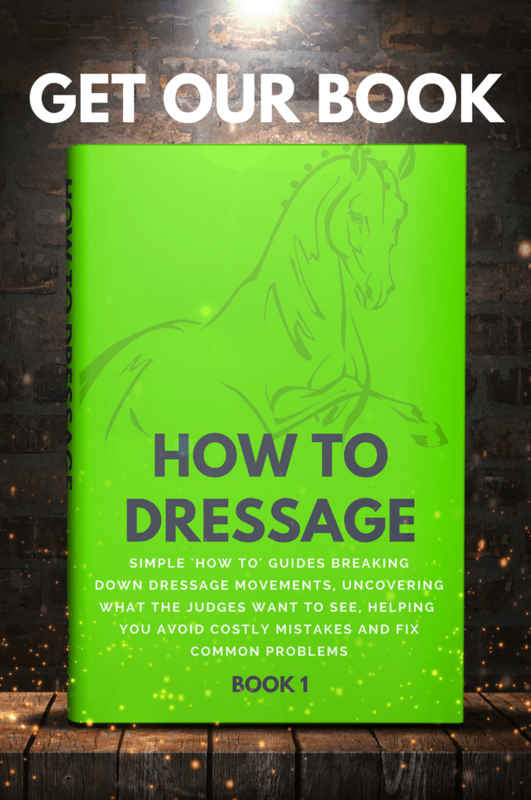 This requires more suppleness, balance and engagement, so don’t expect a horse in the earlier phases to half-pass like a Grand Prix horse! The horse must be bent towards the direction he is traveling in. A good guide to the amount of bend is simply to ensure that his face is looking at the point on the track (or center line) where you are aiming to arrive at the end of the movement. 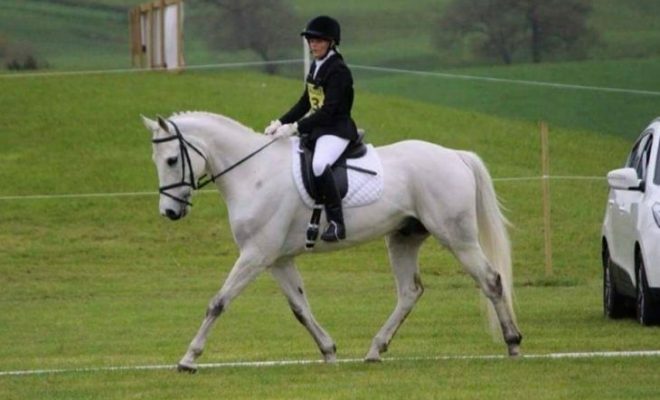 The bend should be through the length of his body, around the rider’s inside leg, not just in the neck. His body should be almost parallel to the track, with the shoulders about one shoe print in advance of the haunches. This is imperative as a horse cannot travel sideways with the haunches in the lead and maintain his pace. The pace he is traveling in should not change, in terms of energy, elasticity and suspension, nor should the rhythm vary. 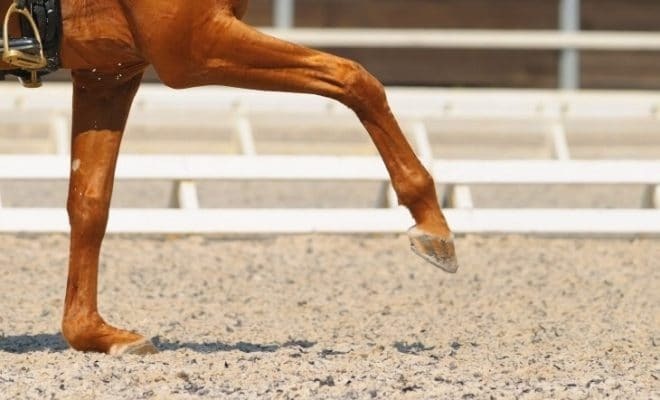 In trot, the legs, both front and back, must cross over each other (straddle), landing down onto the ground without uncrossing. In canter, the sequence of legs prohibits crossing. 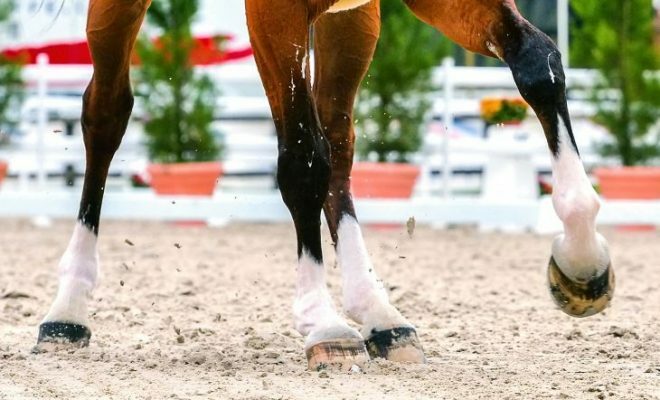 A canter half-pass should appear as if the horse jumps into the air, travels sideways while all four feet are off the ground, before landing and repeating. Picture it like a chef’s knife dicing a tomato. In competition, half-pass is only ridden in trot and canter, but it may also be ridden in walk for training purposes. 1. Start by riding haunches in along the track, ensuring your horse’s head is looking straight down the track in front of you. 2. Turn onto the centre line, let’s say at A, and picture a line drawn on the ground (you can even make one with poles if you find it easier) from D to E, or D to B (assuming this is a 60m arena – if not, then go to a point beyond E or B). 3. Now ride travers along that line, in exactly the same way that you rode it along the track. Use your imaginary line instead of the track to position his head and hindquarters relative to each other. 4. You have just ridden your first half-pass! 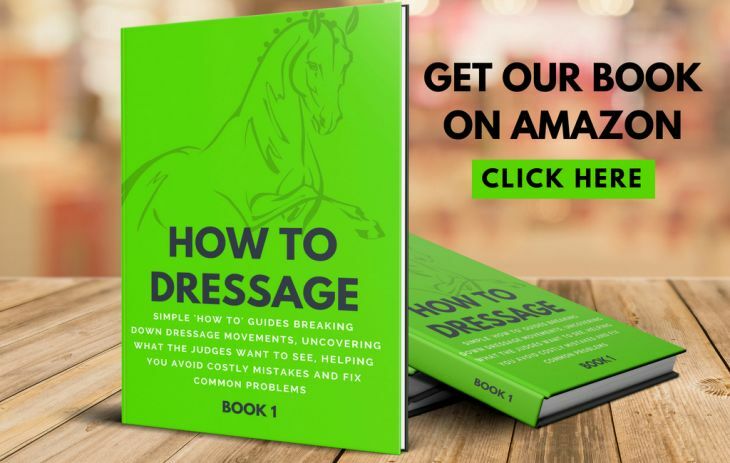 This is the simplest and most successful way to teach half-pass to both horse and rider, as they focus on riding forward along the line with a modest degree of displacement of the hind quarters, instead of getting hung up on ‘going sideways’. Remember what I said at the start: always ride half-pass forward (primarily) and sideways (secondary). 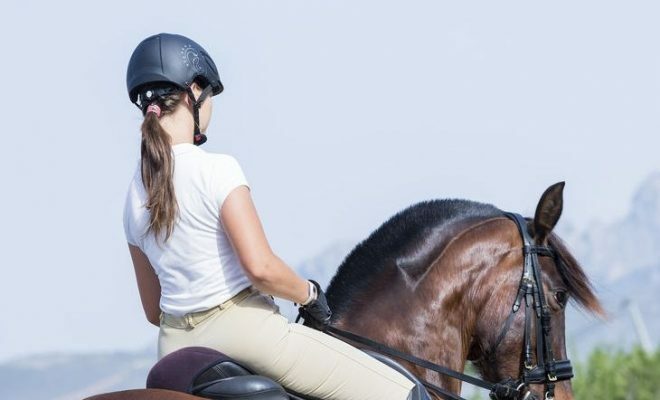 As your skills improve, you will be able to bring the horse more parallel to the wall and steepen the angle to arrive at the track sooner, but always keep riding forward in mind. What Does It Take To Get To Grand Prix?